Deciding on a warehouse can be a tough decision. And if you’re not sure what you need, it can be difficult to learn about all your options and things you need to know in order to make an informed decision. There are a lot of factors to consider when deciding on a warehouse, such as the capacity you’ll need in terms of space and workers, how close it is to your own office or to your consumers, and how organized and efficient a warehouse is. One of the most important factors to weigh is the transportation services provided by a warehouse or logistics provider. If you’re not familiar with the concept of rail siding, it refers to a smaller segment of railroad track that’s different from the traditional tracks. Basically, warehouses with rail siding have more direct access to trains that carry your shipments. Though it may not be an obvious consideration for everyone, rail siding is a valuable asset to any company looking for a warehouse, and it’s well worth considering a rail siding warehouse for your logistics needs. Rail siding is a safer option than shipping with trucks. Moving a shipment via train is a safe option that cuts down on the possibility of crashing or overturning that a truck risks, especially if you live in a region with extreme weather. Rail siding keeps your products moving through adverse weather conditions that could otherwise prevent your shipments from getting where they need to be. This means that not only can a rail siding warehouse keep your products safe, it’s also likely that your shipments will be more reliable and quicker to get where they need to be. Rail siding is faster, more efficient, and friendlier to the environment than shipment by trucks. Not only can one train carry three to four times the amount that a truck can hold, they also move faster than trucks can, and they’re not subject to delays caused by weather and traffic like trucks are. That being said, rail siding is a great option for companies that need to move a high volume of goods at one time, to transport products over long distances, or just want to save a little money on everyday costs. Using a rail siding warehouse that offers rail siding also cuts down on the environmental damage of shipping. Trains give off less carbon dioxide than trucks do, so using a rail siding warehouse can help cut down on your carbon footprint. Rail siding warehouses not only use less time and money to ship your goods, but they’re also friendlier to the environment. 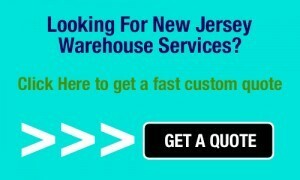 Choosing a rail siding warehouse can save you money. The high speed and large volume capacities of trains, combined with lower fuel consumption, makes rail siding friendlier to your wallet as well. So while you may not need to use rail siding all the time, having it available as an option for when you need to ship a large volume of products or make sure any shipment gets where it needs to be quickly can be a huge advantage and can help you save money. 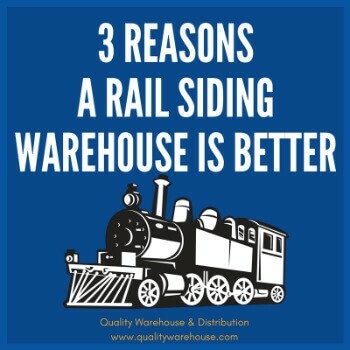 Between safety, reliability, efficiency, capacity, and affordability, there’s no question rail siding warehouses are a great option. No matter what your logistics needs are, as you make decisions regarding warehouses and logistics providers, make sure you consider in rail siding as a crucial factor.